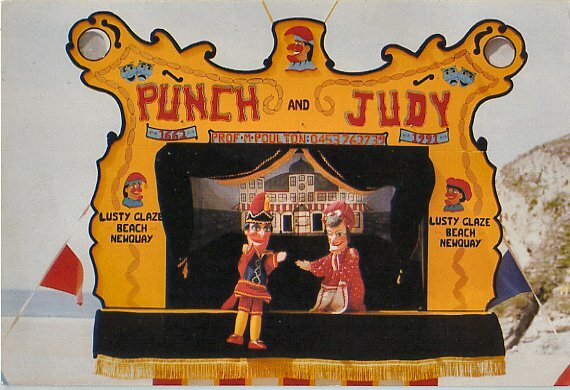 The Punch and Judy Show, a British Seaside Tradition. 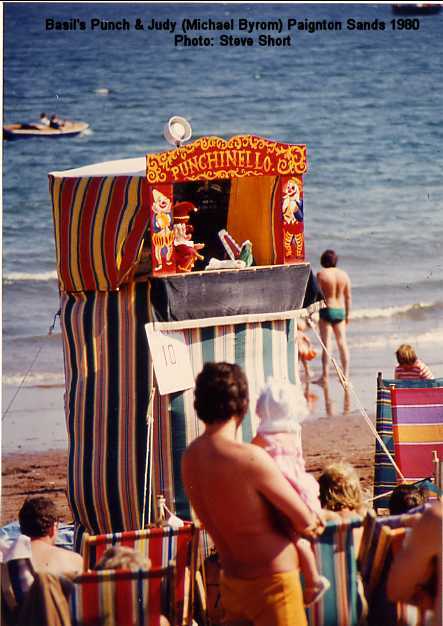 There is a long tradition, in Britain, associating the Punch & Judy Show with The Seaside: coastal holiday resorts to which the whole population would flock during the Summer months. 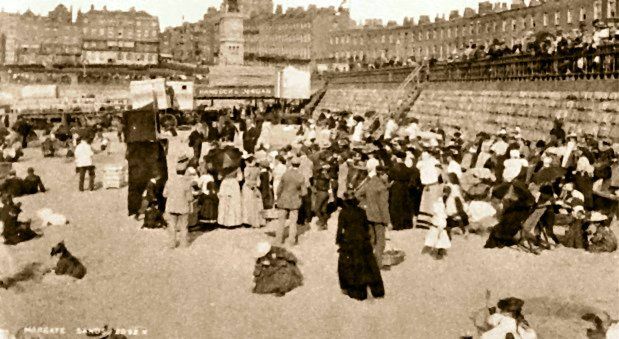 Greater affluence, easier global travel and more flexible holiday arrangements have decreased the popularity of the traditional seaside holiday and consequently it is much harder for a punchman to make an adequate living on these pitches, and the numbers of seaside professors are dwindling. 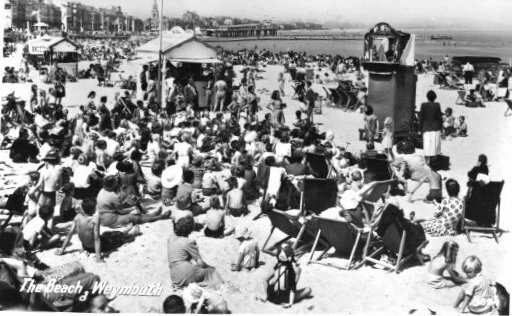 Here are some pictures of seaside Punchmen of the past, and also some who are still performing on beach and promenade today. 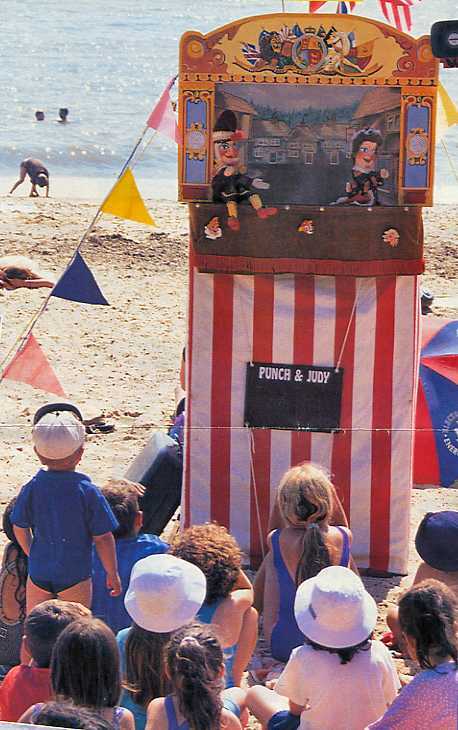 advertising Punch shows throughout the summer. 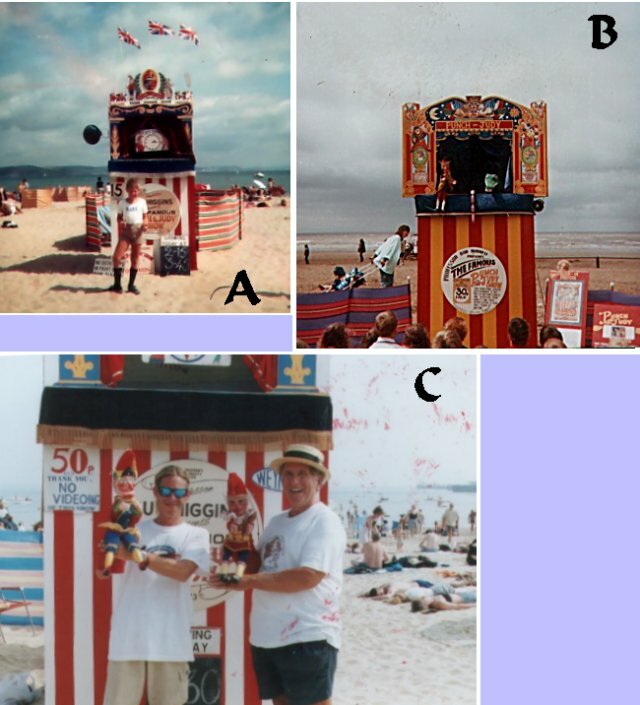 Prof. Mark Poulton appeared on Goodrington Sands, Paignton, Devon. 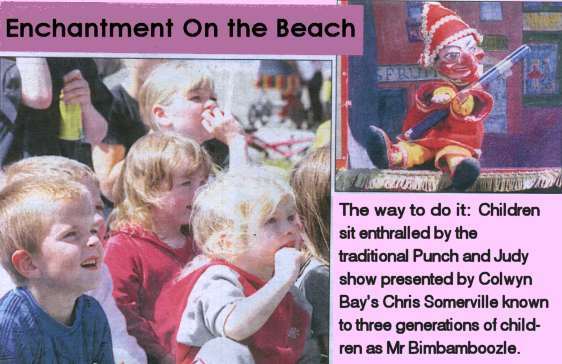 Mr. Bimbamboozle (Chris Somerville) on the seafront at Llanfairfechan, North Wales. 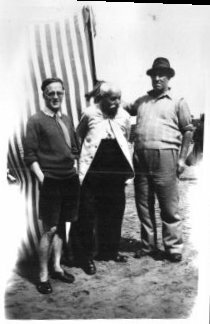 following veteran Punchman Jock Armitage. 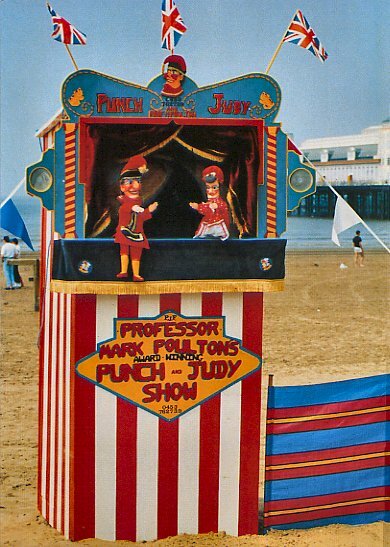 He was followed by a lady Punch Professor, Wendy Wharham. 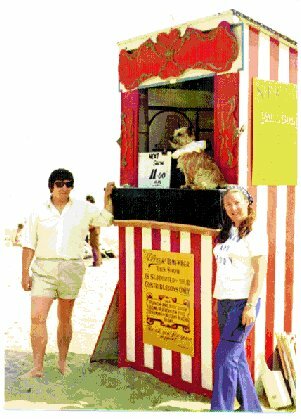 The late Prof. 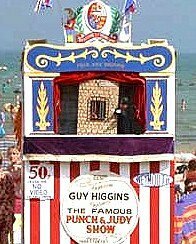 Guy Higgins at Weymouth Sands, Dorset. 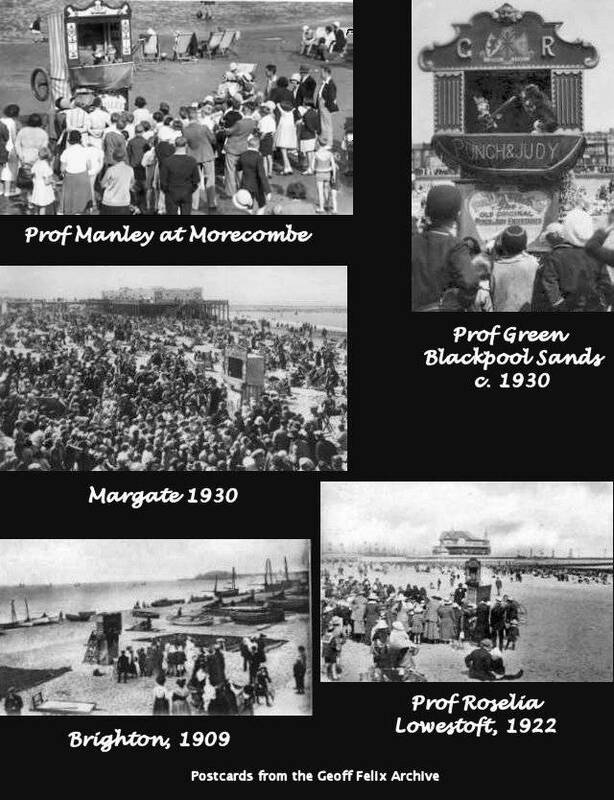 The tradition is continued by Prof. Mark Poulton. 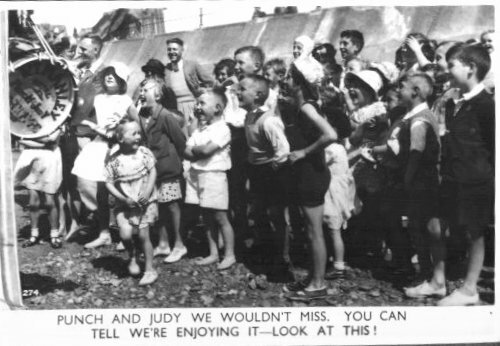 Prof. John Alexander performed at Broadstairs, Kent. 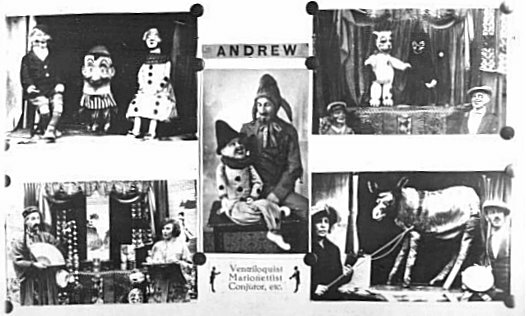 Click the picture to go to his own website. 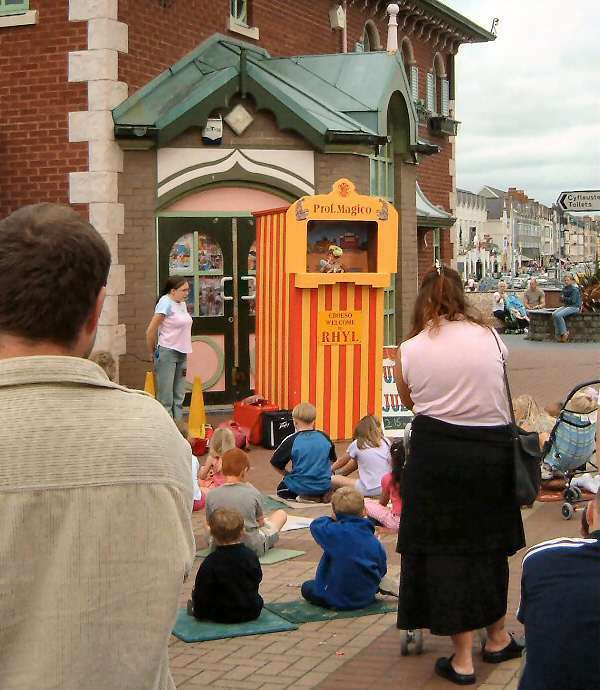 Prof. Jingles(Bryan Clarke) appeared at Lowestoft. 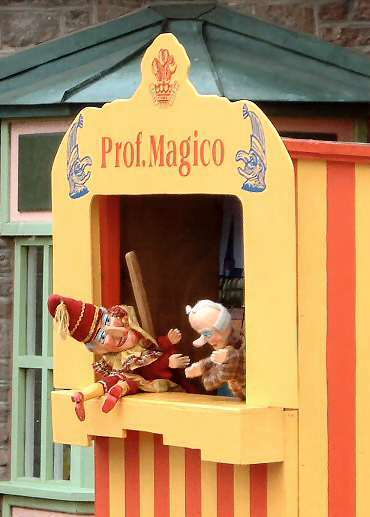 Bryan is still active and is the leading maker of Punch & Judy puppets for professors who do not make their own. 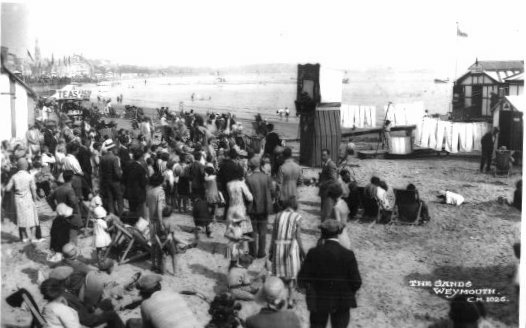 Prof. Davey appears at Lyme Regis. 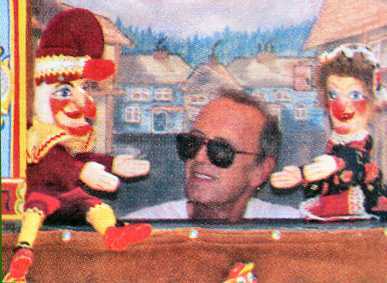 He also makes puppets and equipment for fellow puppeteers. 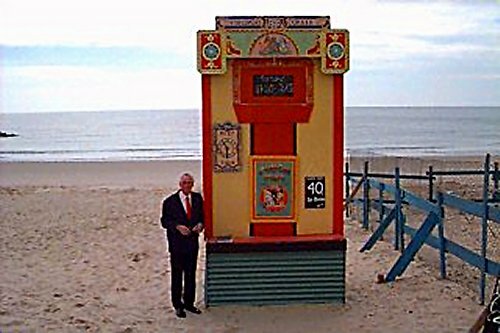 (A) shows a young Mark Poulton outside Prof. Guy Higgins' booth in circa 1975. 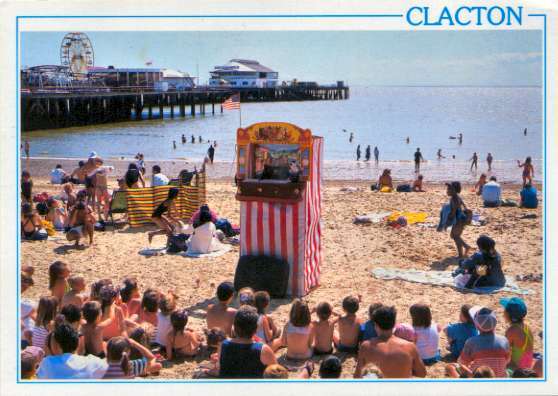 (B) shows Rod Burnett's show at Weston-Super-Mare, 1988. 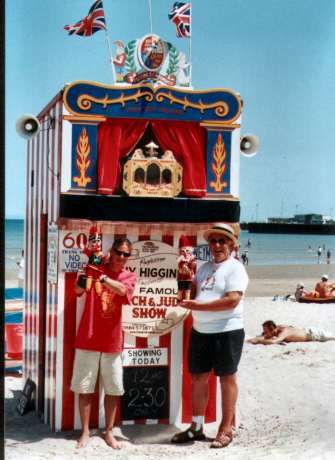 (C) shows Mark Poulton and Guy Higgins outside the Higgins' booth at Wemouth, September 1999. 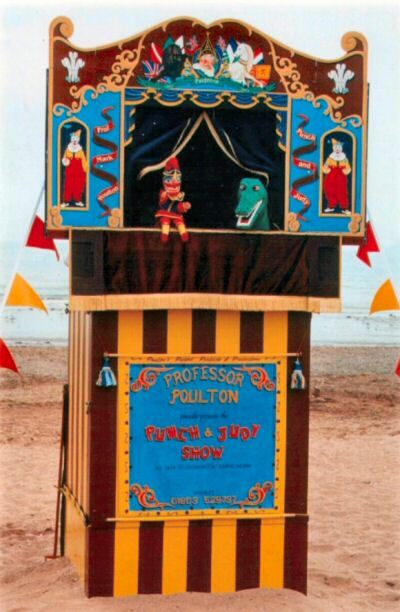 Mark Poulton's new booth and proscenium for his 2003 season at Goodrington Sands, Paignton, Devon. 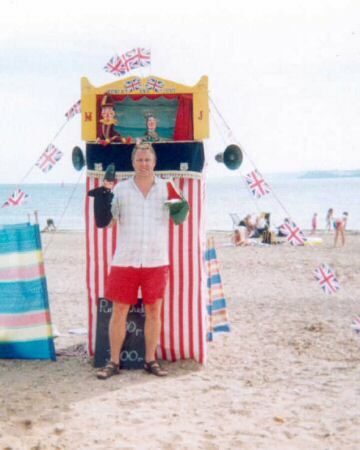 Now he has taken over the pitch at Weymouth. 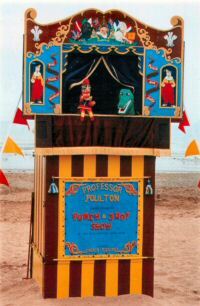 You can Email him :mark@poultonpuppets.co.uk or visit his website. 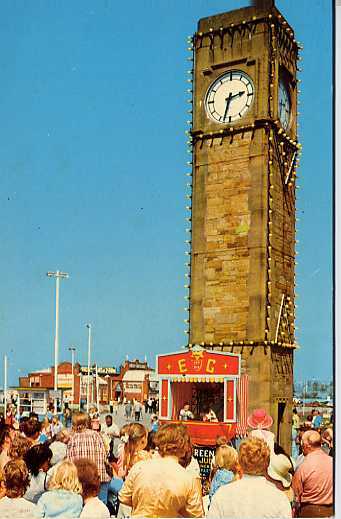 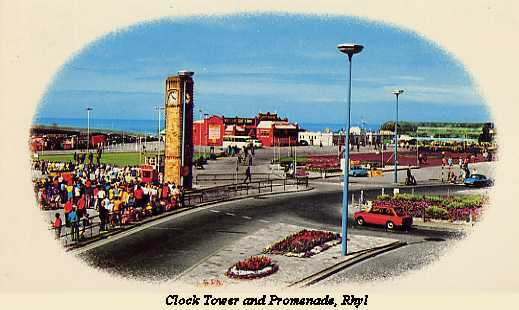 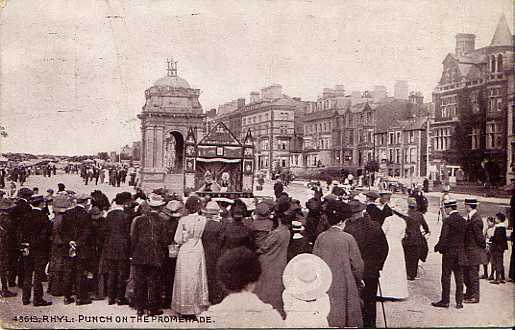 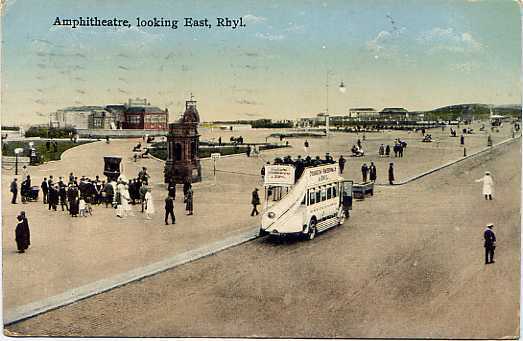 Ted Green performed for many years on the promenade at Rhyl, and many visitors remember his pitch, by the clocktower. 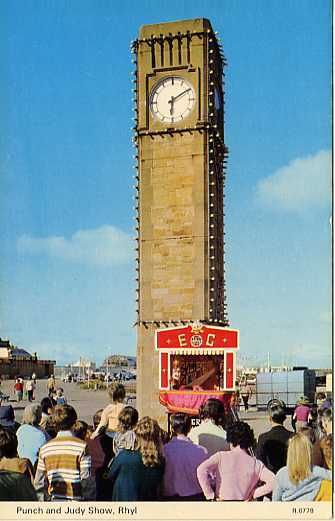 Ted died in the mid nineteen eighties. 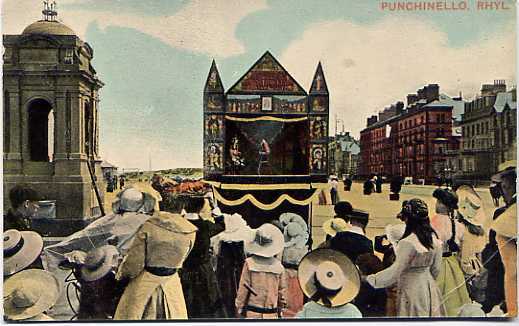 Now Prof. Magico (Eddie Hughes) presents Punch throughout the summer at the children's village on the promenade at Rhyl. 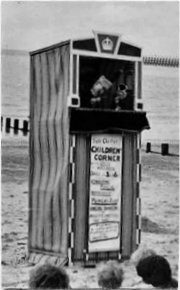 If you know a punch performer appearing on a seaside beach, pier or promenade site please encourage them to send their details for inclusion on this site. 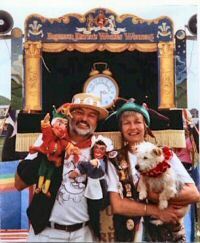 If they are on the web then they should initially email webmaster Chris Somerville chris@punchandjudy.com. 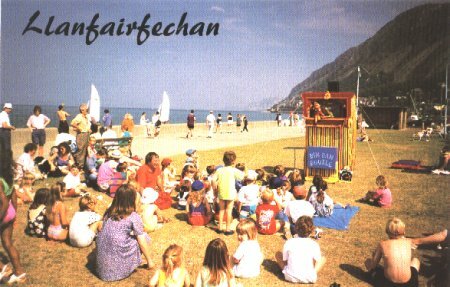 Otherwise they can write to Chris Somerville, Harlequin Puppet Theatre, Rhos-on-Sea, Colwyn Bay, North Wales LL28 4EP, UK. Click this small picture to enlarge. 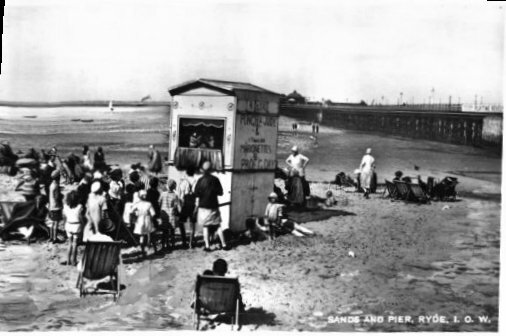 Prof Smith on Margate Sands, 1895. 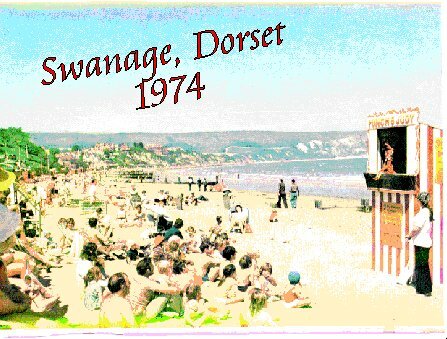 Postcard courtesy of Prof Mark Poulton.